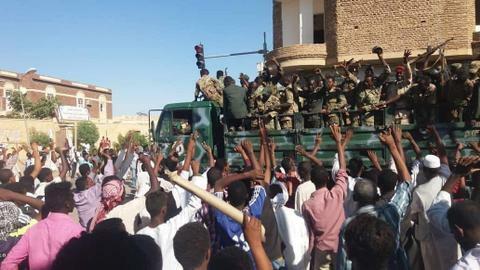 The group spearheading the protest movement in Sudan on Monday demanded the country's new ruling military council be dissolved and replaced by a civilian one with representatives from the army. "We want the military council to be dissolved and be replaced by a civilian council having representatives of the army," Mohamed Naji, a senior leader of the Sudanese Professionals Association (SPA), told reporters. 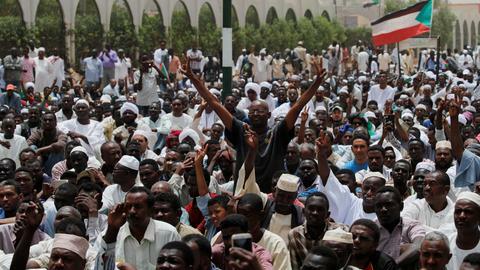 Earlier in the day, Sudanese protesters blocked an attempt to break up a sit-in outside the defence ministry, where demonstrators have been pushing for a quick transition to civilian rule after President Omar al Bashir was ousted, a witness said. TRT World's Philip Owira has more. Earlier, Sudan's main protest group, the SPA, issued an urgent call for people to join the sit-in and foil any attempt to disperse it. 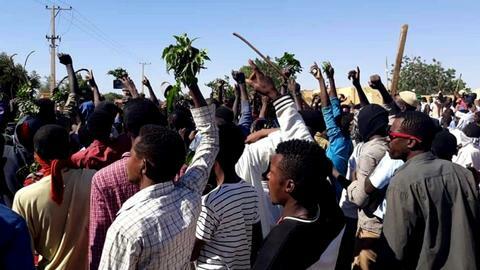 Since then the head of the new military council and of Sudan's powerful National Intelligence and Security Service (NISS) have both been replaced, as protesters have continued to call for change. Britain's ambassador to Sudan Irfan Siddiq said he had met the deputy head of the transitional military council, Mohamed Hamdan Dagalo, and had "asked for clarity on whereabouts of former President Bashir and other senior former regime figures."